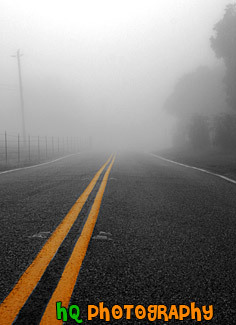 A scenic picture of a road leading into the fog. This photo is in black and white with the yellow road lines in color. This photo has been digitally manipulated using Photoshop to get this effect.